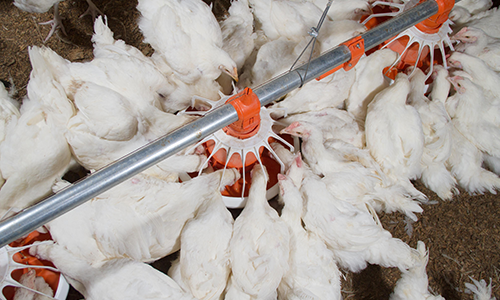 Big Dutchman’s FLUXX 14” deep dish pan is ideal for raising pullets, providing a consistent and reliable amount of feed, ensuring you a uniform flock. The FLUXX Breeder female feeding pan sports a special female-only grill that allows for adjustment of both feeding window width and height. 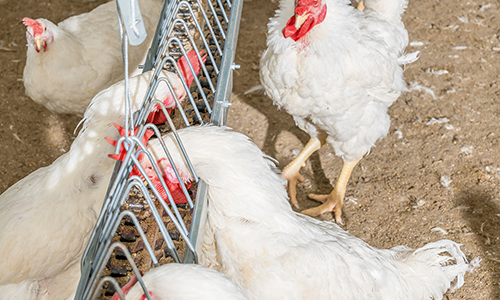 The pan has been proven time and again to be the preferred feeding pan for delivering a consistent and reliable set of feed to your entire flock, while at the same time reducing feed waste. 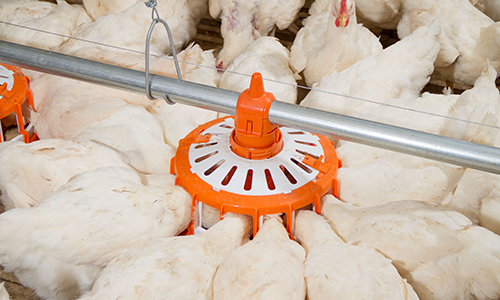 The proven Champion Chain feeding system improves production and profits. Flexible, efficient and productive. Everything you need from the best feeding system available. 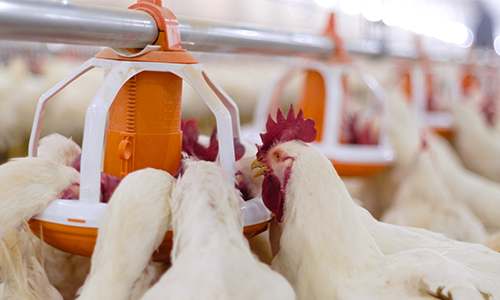 Designed exclusively for rooster feeding, the new MaleChain feeding system from Big Dutchman offers the ability to feed your roosters specially mixed feed separate from females, which is a prerequisite for high fertility rates and good chick quality. 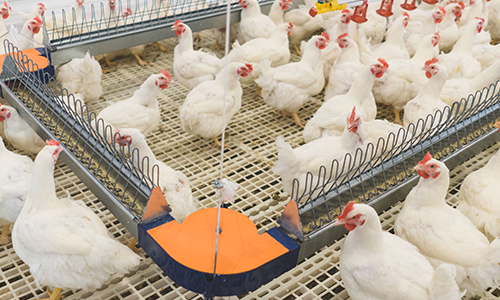 Separately feeding roosters with the MalePan is ideal for presenting a uniform and consistent amount of feed, resulting in roosters with high fertility.